The Everything Health Guide to Fibromyalgia is a complete handbook to this complicated disease. Written with an authoritative yet accessible tone, readers will find helpful information on understanding the basics of fibromyalgia and learn to recognize its symptoms. Includes helpful insight on: Finding the right doctor; Overcoming fatigue and minimizing stress; Conditions that mimic fibromyalgia; Therapies and treatment; Staying active. 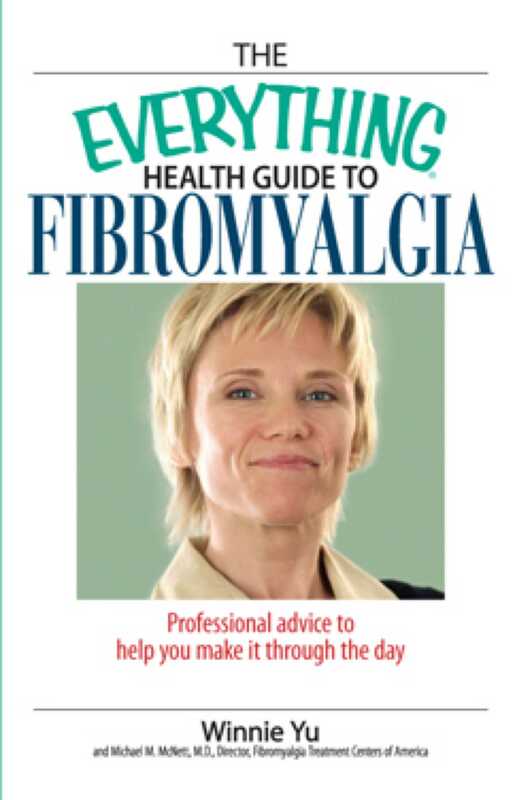 The Everything Health Guide to Fibromyalgia helps readers cope with and understand their diagnosis to live a full, healthy life. Winnie Yu is a freelance writer. She co-authored three health books for Fair Winds Press and contributed essays on health and wellness to five books published by Rodale Inc. She has written features for numerous national magazines and several Web sites. Michael M. McNett, M.D. is the owner of Fibromyalgia Treatment Centers of America based in Chicago, IL. His areas of focus are fibromyalgia treatment and research and non-interventional pain management. He is affiliated with the American Board of Family Practice, the American Academy of Pain Management, the American Society of Addiciton Medicine, and is on the editorial board of Fibromyalgia Aware magazine.